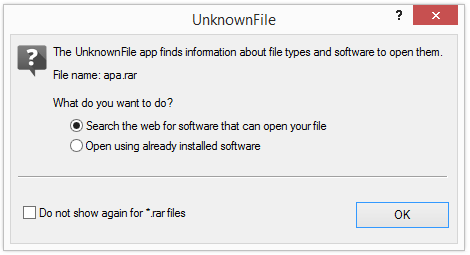 Getting a pop-up dialog labeled “UnknownFile” while double-clicking on a file on your computer? Well, then you’ve got the UnknownFile File Assistant installed on your machine. 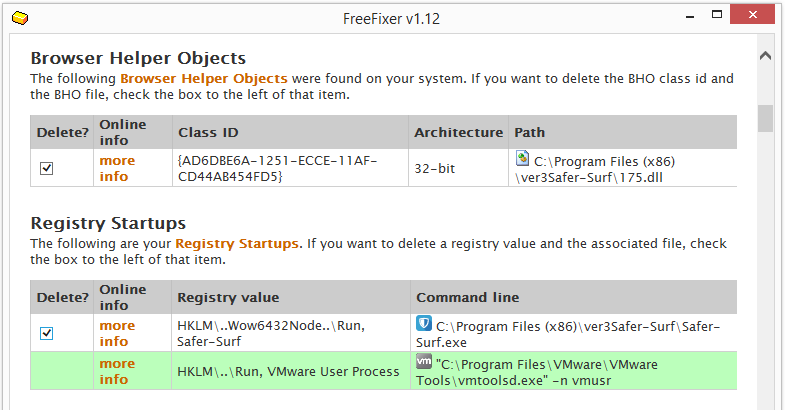 While this dialog is active, you can also see UnknownFile.exe running in the Windows Task Manager. You probably got this program on your computer when installing something else. I found UnknownFile bundled with the Softango Downloaders. Did you also download and install something from Softango? What is PepperZip? And How Did You Get It On Your Computer? 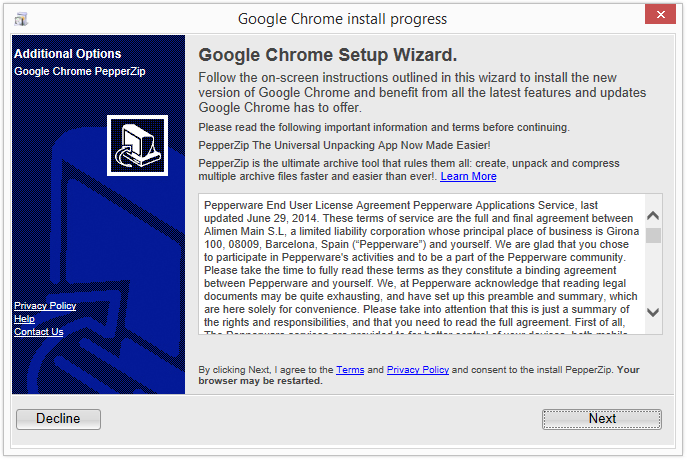 Did you just spot an icon called PepperZip on your computer desktop and wonder where it came from? What is Severe Weather Alerts? 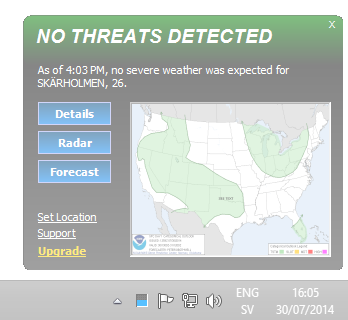 Do you have something called Severe Weather Alerts installed on your machine and wonder where it came from? 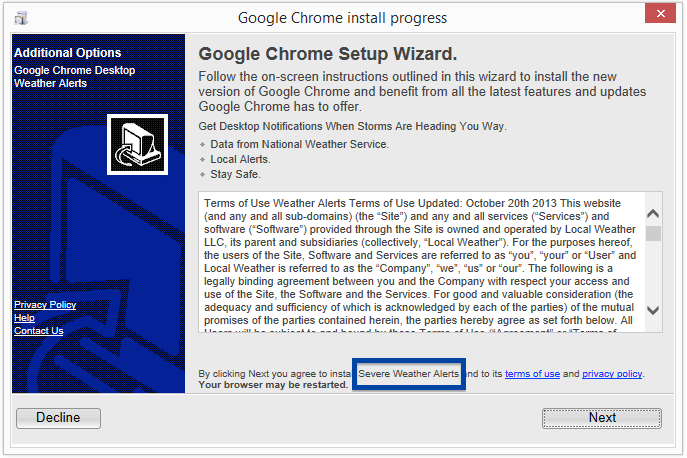 I found Severe Weather Alerts while testing out an un-official Google Chrome download which bundled the Weather alerts software, as you can see in the screenshot below. Any idea where you got Severe Weather Alerts? 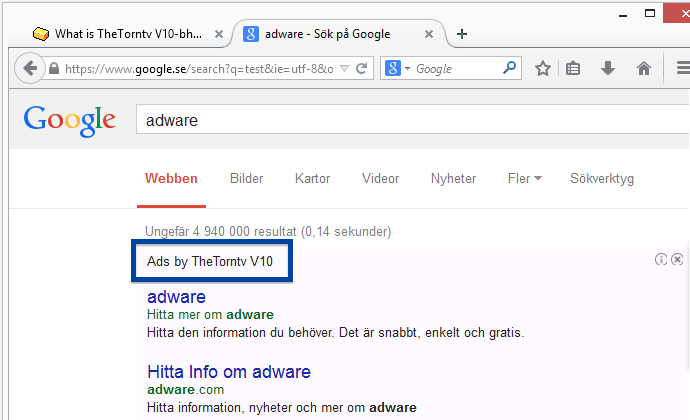 Are you seeing ads labeled “Ads by SaferSearch” while browsing the web? 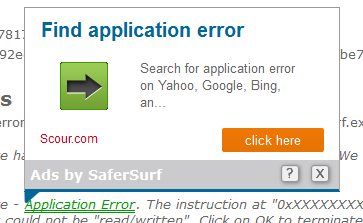 Then you have the SaferSearch adware installed on your machine. 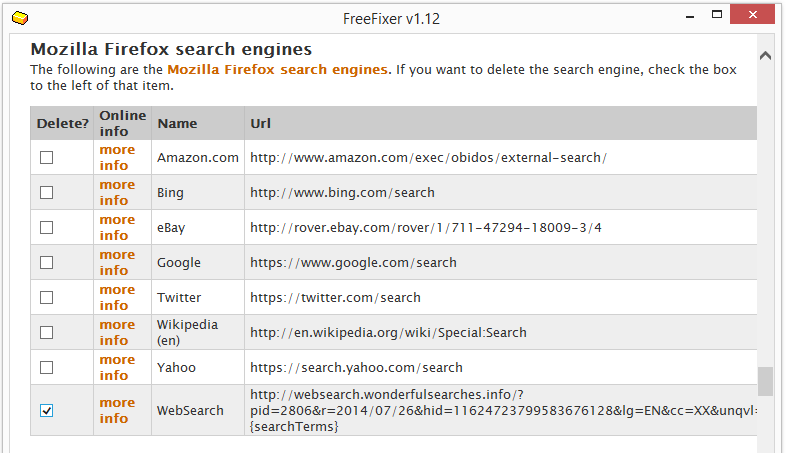 How did you get SaferSearch on your computer? 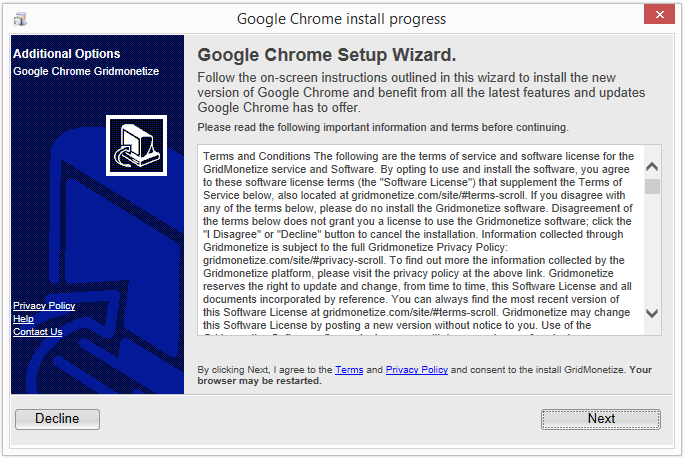 Did you get GridMonetize on your computer? 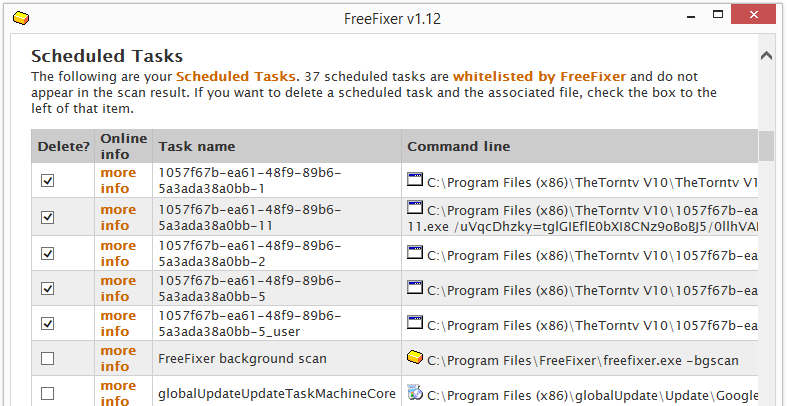 Just a quick post before going back to working on FreeFixer. 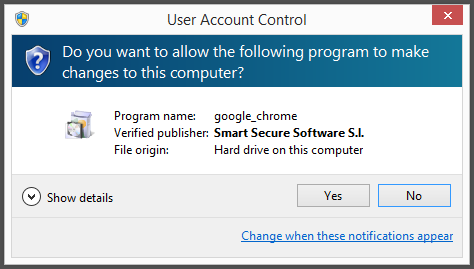 Found a “Google Chrome” download this morning, digitally signed by Smart Secure Software S.l. DomainIQ, SoftPulse and Smart Secure Software are some of the detection names. 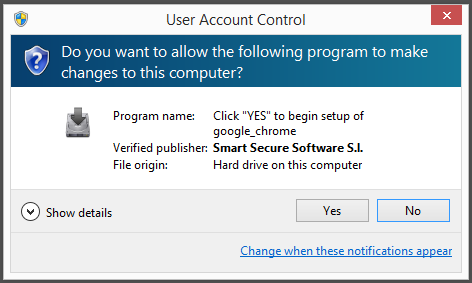 Did you also find a file digitally signed by Smart Secure Software S.l.? What kind of download was it and where did you find it? 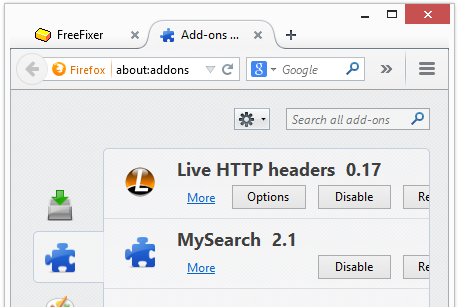 Do you see an add-on listed in Firefox and Internet Explorer called MySearch? MultiPlug and QVM30 are some of the detection names. 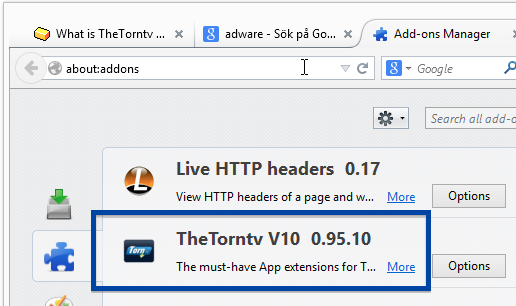 Getting ads labeled Ads by TheTornTV on top of the Google search results as show in the screenshot below? I’ve made a quick video that shows FreeFixer in action while removing TheTornTV. Hope you find it useful. 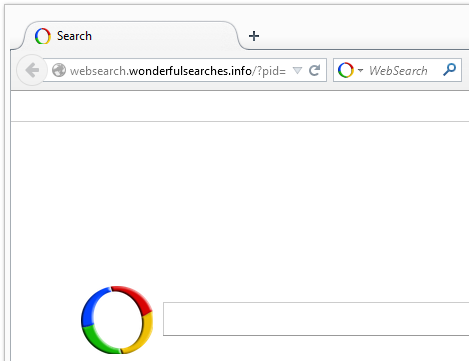 Have your web browser been changed to use the websearch.wonderfulsearches.info web site for searches? 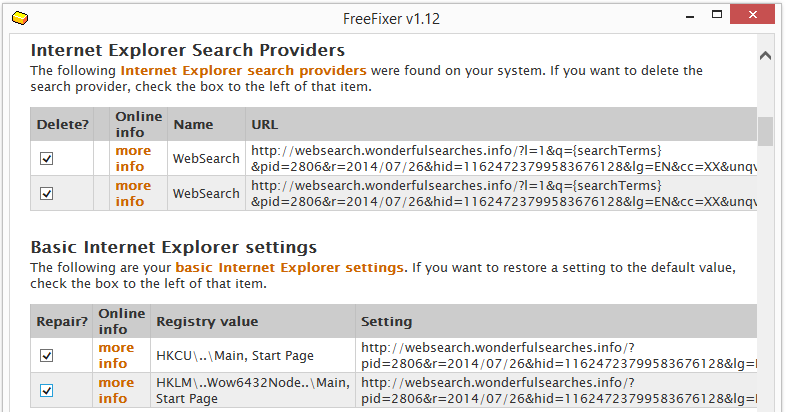 How did you get WondefulSearches on your machine? I’ve previously written about a program called JDownloader. 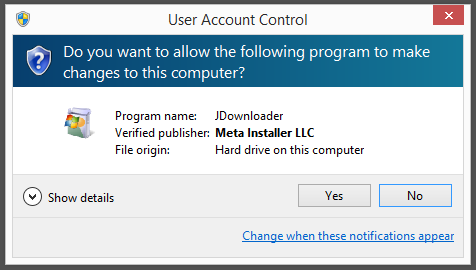 I just found out that another company, named Meta Installer LLC, is also signing the JDownloader setup file. The setup file is detected by many of the anti-virus scanners at VirusTotal. Just wanted to let you know. Hope this helped you avoid installing some adware on your machine.